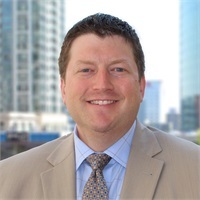 Nick Rhodes | Pacific Capital Resource Group, Inc.
Jason Nick Rhodes serves as a financial adviser with Pacific Capital Resource Group, Inc. in Bellevue, Washington. The advisers of Pacific Capital take pride in their ability to work with corporate, individual and family clients alike in seeking to provide quality advice, effective implementation, and lifelong service. Dedicated to the highest ethical standards, Nick provides clients with planning for various aspects of life including: risk management, estate planning, retirement planning, college funding, investments, professional money management, asset allocation, and business planning. He meets with clients personally to discuss and review their goals and objectives. He then works with a team of advisers and specialists to most accurately analyze and interpret those objectives to provide each client with a strategy that uniquely serves his or her short and long-term goals. Securities and Investment advisory services are offered exclusively through Hornor, Townsend & Kent, LLC. Nick is able to provide continuing service by meeting with his clients regularly as time goes on, maintaining and building upon a strong relationship. He monitors each plan and, when meeting with each client, reviews their situation to keep them up to date. This is designed to create a trusted bond between Nick and his clients and helps ensures that each client’s strategy remains consistent with changing goals, objectives and circumstances. Nick has successfully passed his Series 6,7,24,26,51,63 65 exams; and holds his Washington State Life and Disability Insurance license. He graduated from Lake Forest College (LFC) with a Bachelor’s degree in Economics with an emphasis in Finance and Communication. When he isn’t working, Nick enjoys a number of different activities including playing hockey, camping, golfing, fly-fishing, going to Mariners games, and spending quality time with his wife Michelle.